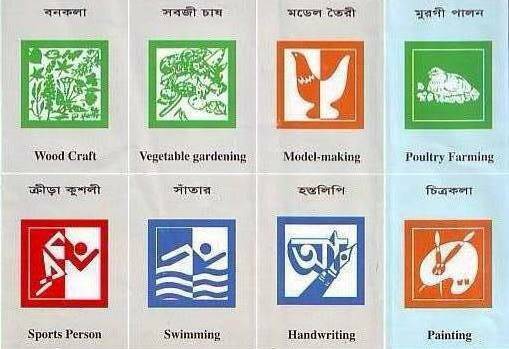 This is Information Bank of Bangladesh Scouts. Rank badges will be made as per measurement mentioned in article 33 of the schedule one of organization & rules. 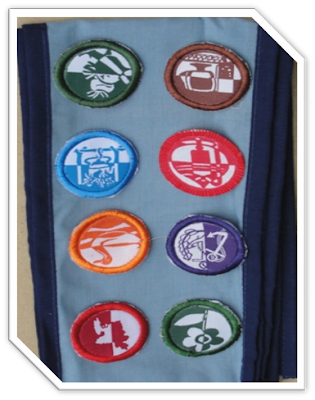 Cub Scout, Scout, Rover Scout, Unit Leader, Group Scout Leader and persons holding Warranted and Non-Warranted post will be entitled to wear Scout uniform. The provisions of organization and rules may be amended, added, extended or changed by the approval of two-third majority of members present in the annual general meeting of National Council. All amendment proposal should be sent to the National Headquarter for decision of the National Executive Committee by 30th June every year. The proposal shall be placed before the next National Council meeting along with the decision of the Executive Committee of Bangladesh Scouts. The Chief National Commissioner: The Chief National Commissioner’s name shall be recommended in the 3rd general council meeting and the Chief Scout will appoint him for three years. National Commissioners: To be appointed by the Chief Scout with the recommendation of the Chief National Commissioner. Term: 3 years. Deputy National Commissioner: To be appointed by the Chief National Commissioner with the recommendation of the National Commissioner. Term: 3 years. Regional Commissioner: To be recommended in the 3rd annual general council meeting and then be appointed by the Chief Scout and the Chief National Commissioner. Term: 3 years. Deputy Regional Commissioner: To be appointed by the Chief National Commissioner and Regional Commissioner. Term: 3 years. Engage activities violating the provisions of organization & rules, promise & law of scouts. To be formed by the parents, old scouts, supporters of scout movement, patron of scout movement. Newly constituted group shall submit four filled up application forms to the sub district scouts along with registration fees. The sub districts must be satisfied regarding conducting of the group through a trained scouter and then sub district will recommend to the regional scouts for formation of new group scouts. If the renewal of group is not done in time. If any allegation is made against the group from the sub-district executive committee. But self defense should be given to the scout group leader and controlling authority before an action is taken. If the registration of sub district is being cancelled for other reasons. A group scout will be formed where there will be one cub scout, one scout and one rover scout unit. 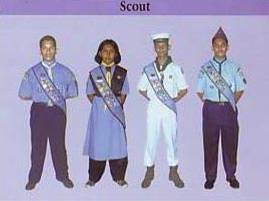 In special circumstances a scout group may be formed if there exists one or more scout units. To be formed in a school, Madrasha, College and Universities or Government, semi-government institutions or in an autonomous body or business or religion institutions. To be formed in a particular area where the scouts may be allowed to join in scouting. The members of educational institutions may be allowed to join in open scout group with prior written permission from the educational institutions.The member of female cub scout, scout and rover scout will be named as girl-in-scouting. In each upazilla (sub district) there shall be a scout organization to be known as “Sub-District Scouts” to run and implement the cub scout and scout program smoothly. 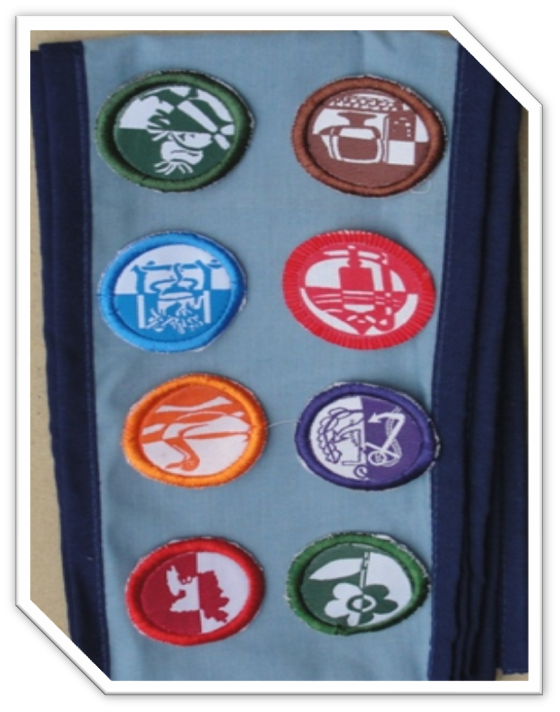 If each sub district forms at least 7 (seven) units it will be recognized as sub district scouts. Each sub district organization shall have a separate bye-laws which must be approved by the regional scouts. Before that, it must be recommended by the District Executive Committee. The sub district will pay its membership fee along with annual statistics of scouts to the district scouts. The sub district will renew its membership by paying annual registration fee to the district scouts. The renewed sub district will enjoy all the benefits of district, region and Bangladesh Scouts. There will be a sub-district council which will be constituted by a patron, President, Vice-Presidents, Sub-District, Commissioner, Treasurer, Secretary, Leader Trainer, Unit leaders, all the members of executive committee of sub district. The term of sub district council will be for three years from the date of election. This term may be extended for unavoidable circumstances for six months. The sub-district council will elect vice-president, Treasurer, Secretary and Joint Secretary, Commissioner in the 3rd annual general meeting which will be held after three years. Besides this, the sub district council meeting will be held once in a year to examine annual report and other scout activities. There shall be a council in a district to be headed by a President, District Commissioner, Secretary, Treasurer, District Education Officer, including members of Executive Committee of the district & others. The term of the district council will be three years from the date of election. The district council will sit once in a year to examine scout activities, annual development projects, income and expenditure of the executive committee etc. There shall be a district scouts organization to run the program of the districts smoothly. The scouts activities will cover throughout the district as administrative unit. The Nature and Character of district of special region will be different. As for example, Bangladesh Scouts, Pakshee Railway District. 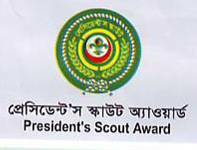 To monitor scout activities throughout Bangladesh keeping ideal and spirit of World Scout Movement. Implement principles, directions and proposal passed by the National Council. To perform administrative functions including fund transaction, preserve & protect properties of Bangladesh Scouts. Planning, Implementing and Evaluating progress, extension modernizing the training scheme & program of Bangladesh Scouts. To make publicity of World Scouts activities, principles to the regions and district level. To arrange leader’s conference, Moot, Jamboree, Camporee and Rally etc. The National Executive Committee (NEC) of Bangladesh Scouts works as the highest executive body on behalf of National Council. In fact, NEC is the implementing authority of scout activities. The committee comprised by presidents, Vice-president, Chief National Commissioner, Treasurer, National Commissioners and other concerned person. 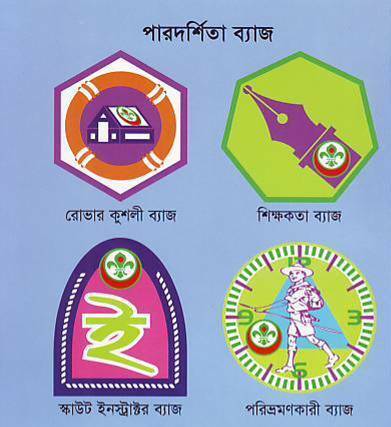 The National Council is the highest policy making authority of Bangladesh scouts. To approve on going budget & accounts of previous years and also to examine the Audit report. Elect or recommend President, Vice-president, Treasurer and the Chief National Commissioner ‘if any’ of these posts fall vacant. To fill up the vacant post of any member. 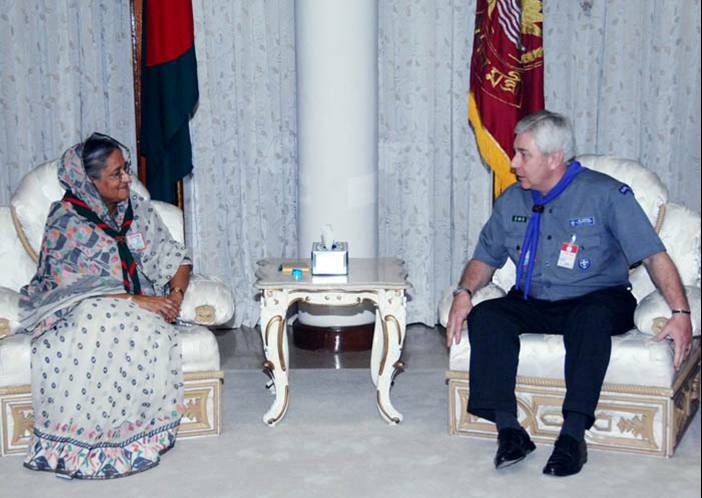 The President of the Peoples Republic of Bangladesh shall be the ex-officio Chief Scout of Bangladesh. He may convene any council meeting at any place, at any time and he may preside over in that meeting. The Chief Scout will appoint the Chief National Commissioner and he will give certificate to the National Commissioners and Regional Commissioners as per recommendation of the Chief National Commissioner. His decision in respect of scout organization will be final. Donation or special allotment from the Government, horsemint, public and government approved as organizations. 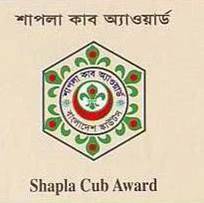 Fixed lump-sum donation from life patron member, Life member and general member of Bangladesh Scouts as mentioned in section II. Any donation from different units, groups or council member. The unit, group at District and sub-district will collect finance locally for smooth running of the scout activities. Any donation from any scout, person or organization may be accepted without any condition. Scouts will try to earn and increase fund by their own Labour. If necessary, Scouts will observe “Earning week” when the educational institutions will be in annual vacation. The National Headquarter is empowered to examine and call for papers relating to account affair of region, district and sub-districts or a particular unit to maintain financial discipline. There shall be a five member internal audit team at every tier of organization from sub-districts upto National level to be formed by the executive committee and that committee will examine the accounts regularly. to obey the scout laws. Cubscouts do not work at their will. Cub Scout: "Try to do my best"
Bangladesh scouts is a neutral voluntary organization out of control from any organization, Person and community. The scouting in Bangladesh will be conducted according to ideal and accepted methods of world organization of the scout movement. The principles, training and program will give stress on the philosophy of non-communalism, non-discrimination of any class and religious feelings. 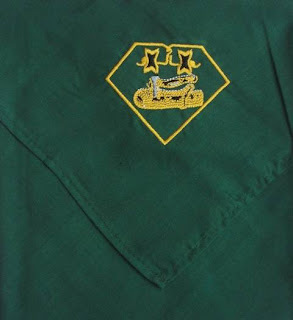 The members of Bangladesh scouts will not engage themselves in political meeting or participate in any work to fulfil the political purposes wearing scouts dress. 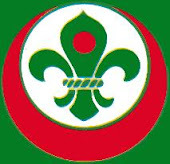 The members of Bangladesh scouts will not support any political, communal government and non-governmental disputes. 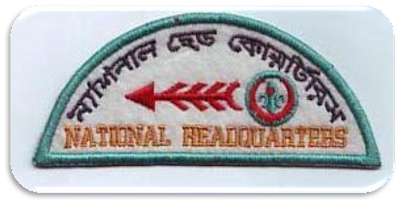 The scout movement in Bangladesh will be conducted through Patrol system according to the needs of the National Training Program. The members of Bangladesh scouts will wear fixed uniform, scarf and badges and they will give salute in three fingers and shake with right hand. To maintain friendly and complimentary relationship with the like minded, non-political, civilian and non-communal youth organization, specially Bangladesh Girl-Guides Association. Try to increase International Cooperation and friendship with the WOSM, Asia-Pacific Regional Scouts and different national scout organizations by exchanging views, trainers, scouts and scouters. 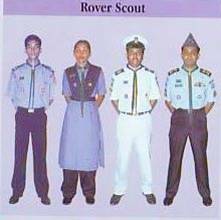 Short title, extent and application this Organization shall be called as “Bangladesh Scouts”. Its Headquarter shall be situated at Dhaka, to be named as National headquarters. It extends to the whole of Bangladesh. No Scouts or Scouters shall be allowed to remain outside this organization and they will not be allowed to organize any other organization in the name of scouting. Short title, extent and application, purposes of Organisation, Methods, Pattern of Excellence, Motto etc. 247 sections and 4 (four) schedules are in the Organization and Rules. The Organization and Rules Comprises Six chapters. It has given guidelines regarding organizational set up up to Upazilla (Sub-districts) level. The last amendments of Organization and Rules were adopted in the 38th National Council held on the 9th August,2009. As many as 22 amendments have been made till date. 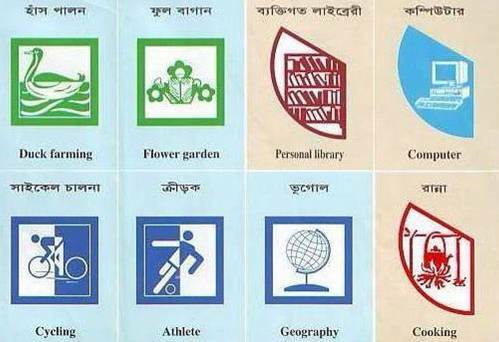 The schedule one of the Organization and Rules was approved on the 24th February, 2000 in the 27th Annual General Meeting of Bangladesh Scouts to strengthen the Scouting activities at the root level. The schedule one has got three Chapters and 102 articles. Chapter ka deals with Scout Dress, chapter kha: highlights about different flags and chapter ga deals with approved award of region and national headquarters. Every clause of the organization and Rules is written in such a simple language as shall express its meaning clearly. 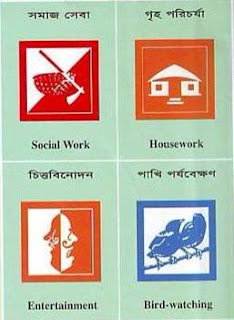 The first three chapters deal with the objectives, ideal of scouting, membership, National organization and Regional organization of scouting in Bangladesh. Chapter three describes how the regional scouts will be organized and what will be responsibilities of the regional executive committee. Chapter four deals with the organization set up of sub-districts and district scouts including district Rover scouts, Railway, Sea, Air, Metropolitan scouts. Chapter five deals with Group Organization. Chapter six deals with the Miscellaneous affairs arising out of different aspects of scouting, like appointment of scout officials Leader trainer and Assistant Leader trainers. For more than 62 years, scouting has flourished in the then East Pakistan ,now Bangladesh. As scout, scouters we enjoy the fruits of scouting from different educational methods and strategies to make our approach relevant and through our participation, scouting will continue to provide blessings of life and pursuit of happiness. Despite restrictions, Scouting began for the first time in Calcutta, Madras and Jabbalpur in 1910. The pioneer role of starting Scout Movement in this Sub-Continent was played by Dr. Tarapurwala, Sriram Wajpee,Mrs Annee Besant, Mr. A.S.Lazlee Moon but the British Scout Association turned down the permission of Scouting in this Sub-Continent. Lastly the British Government gave permission for starting Scouting in 1919, with the active initiative of Lord Baden Powell. 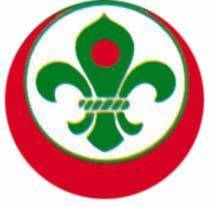 The scout movement started in Bangladesh on the 22nd May, 1948 when East Pakistan Boy Scout Samity (Association) was established. The scouting gained momentum when “East-Bengal Scout Association” was formed under the able leadership of Mr. Salimullah Fahmi. Bangladesh proclaimed its independence on the 26th day of March, 1971 through a historic war. 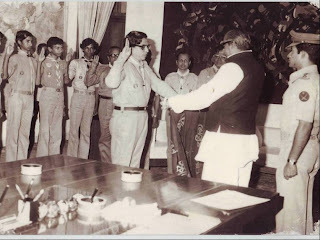 In a newly established independent Republic Scouting tuned its path under the leadership of elected National Commissioner, Mr. P.A Nazir with effect from the 9th April, 1972. The then Hon’ble President gave legal coverage to the Bangladesh Boy Scout Samity by promulgating presidents order No. 111 of 1972. 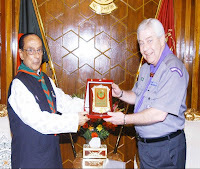 At that time, the Bangladesh Boy Scout Samity would have been guided by its constitution Policy, “Organization and Rules” In 1974, World Scout Bureau recognized the Bangladesh Boy Scout Samity and it became 105th member of the World Scout Bureau. 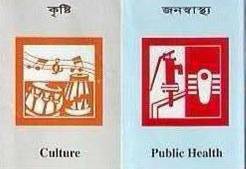 In the special general meeting of Bangladesh Boys scout samity held on 20.07.1975 the Organization & Rules was adopted by repealing Policy, “Organization and Rules”. It is a set of established rules embodying and enacting the practice of scouting in different stages of organization. Every scout, scouters and duty bound to preserve, protect and defend the constitution of Bangladesh Scouts. Agoneree is a big gathering arranged by National Scouts for the scouts who have special needs. With the help of Extension Scouting, Bangladesh Scouts has organized (4) four National Agoneree and many Regional Agoneree. a) An Orientation Course was arranged for the Extension of Scouting in the three Hilly districts held in the Railway Rest House, Kamalapur. In this course, 25 members who have a soft conner for scouting attented the meeting. b) A Preporatory meeting was organized at 30 April, 2010 in Shams Hall, NHQ for the extension scouting in three Hilly districts. Sixteen participants attended the meeting. c) An orientation course was held at 28 May, 2010 in NHQ recommended by the preparatory meeting. Twenty eight participants attended this orientation. * Seventeen scout units for special needs units and Seven street children scout units attended the 8th National Jamboree that was held in National Training Centre, Mouchak, Gazipur. their agreement to form Sena Scouts dated 28 April,2010. • Special Scout Leader Basic Course and Advance Course. • Talent Search Competition among Scouts with special needs. • National and Regional Agoonoree. • Special Unit Leader Workshop. • Study tour abroad for Scouts with special needs. • Special Patrol Leader Training Course. 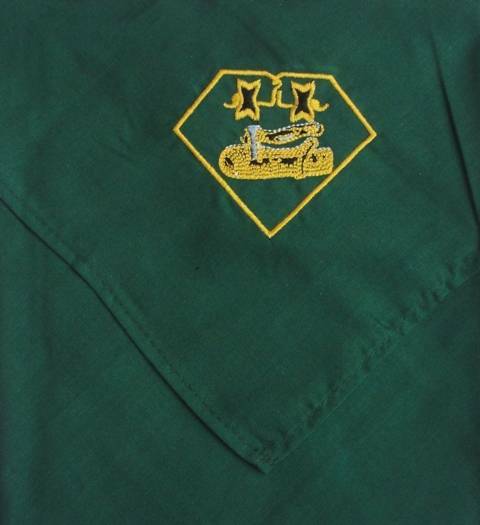 • Sponsoring Scouts with special needs to Jamboree. • Support to APR Ticket to Life Project. • Support to RS3 (Rotary + Scouts ServiceScheme): One Rotary Club, One Scout Unit Project. 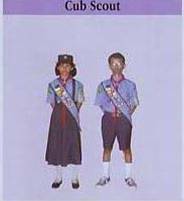 • Formation of Scouting units in English Medium Schools. • Formation of Scouting units in schools run by NGOs. • Formation of Scouting units in private universities. 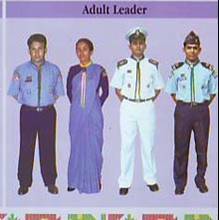 • Formation of Bangladesh Scouts Sena (Army) Region. • Revitalizing Scouting in the three hill districts: Bandarban, Khagrachari and Rangamati.